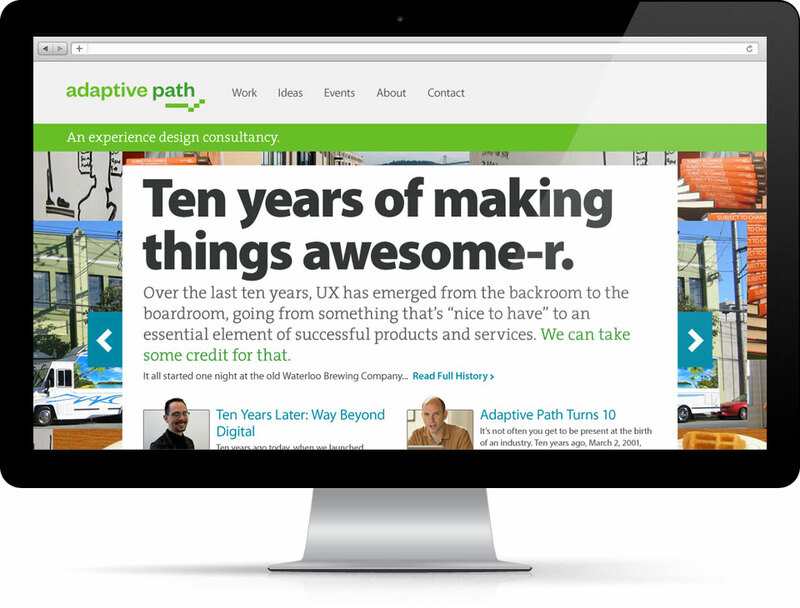 Everyone knows about Adaptive Path. 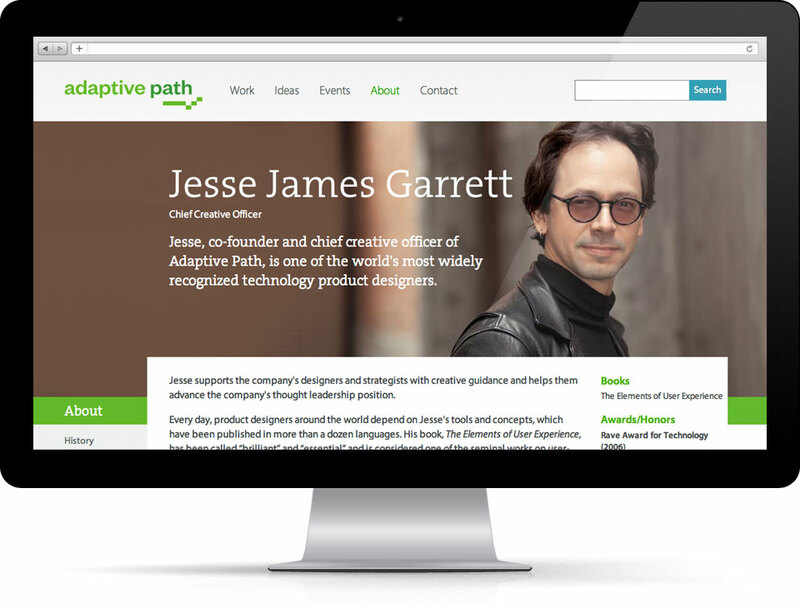 They’re one of the leading advocates for the UX profession. Unfortunately their website didn’t really reflect that. 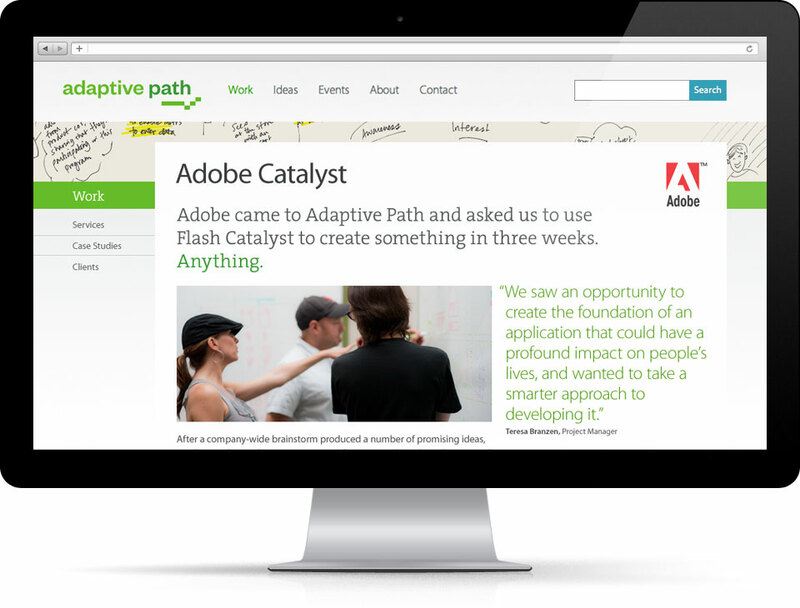 From concept to launch, I worked with an all-star team at andCulture that gave Adaptive Path a new, fresh look that more accurately reflects who they are today verus 2004. My project roles were to generate website concepts, create wireframes, design the website and direct a design team for design and buildout.